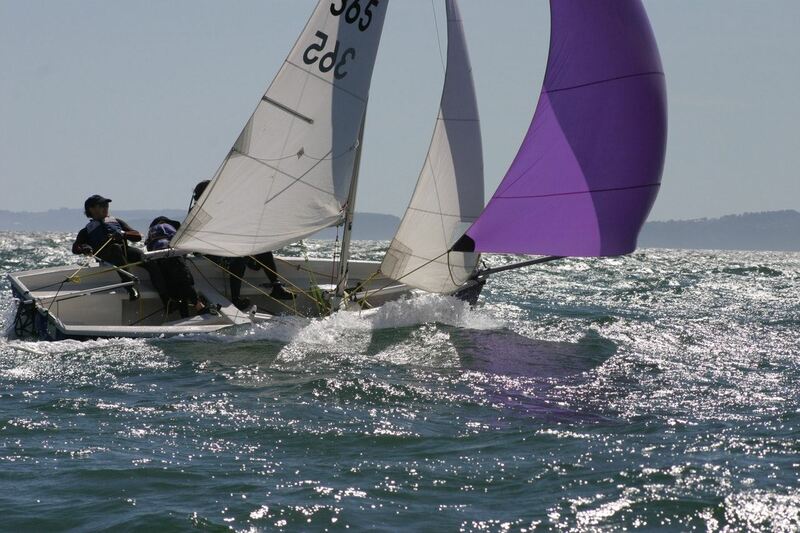 This Dinghy Sailing course is designed to follow the RYA "Start Sailing" and "Basic Skills" (Levels 1 & 2) Adult syllabus. On successful completion of this course you will be able to sail a dinghy in any direction and rig and launch in moderate weather conditions. The RYA Level 2 certificate is an Internationally recognised sailing qualification and an indication that the holder has a basic level of understanding and practical competency. The syllabus covers practical sessions such as rigging, launching and recovery, sailing techniques and manoeuvres, ropework and capsize recovery. Background theory includes subjects such as "rules of the road", basic meteorology, clothing and equipment and emergency equipment. Tuition is given by trained and qualified RYA dinghy instructors with an emphasis on safety and fun! There will be Safety Powerboats on the water at all times to ensure your safety afloat. The course will be run over 2 Thursday evenings and 2 weekends to give you maximum time to fulfil the requirements of the syllabus. It is really important that you can attend ALL of the practical and theory sessions as it is not guaranteed we can help you catch up with things missed. Please note that the minimum age for the RYA Adult courses is 16 (there is no maximum age!). Otley Sailing Club prides itself in truly offering "Sailing for All" and as such, we welcome disabled sailors on our sail training courses. We have trained and experienced volunteers who are used to dealing with disabilities of all kinds so virtually anyone can enjoy the thrill of sailing!